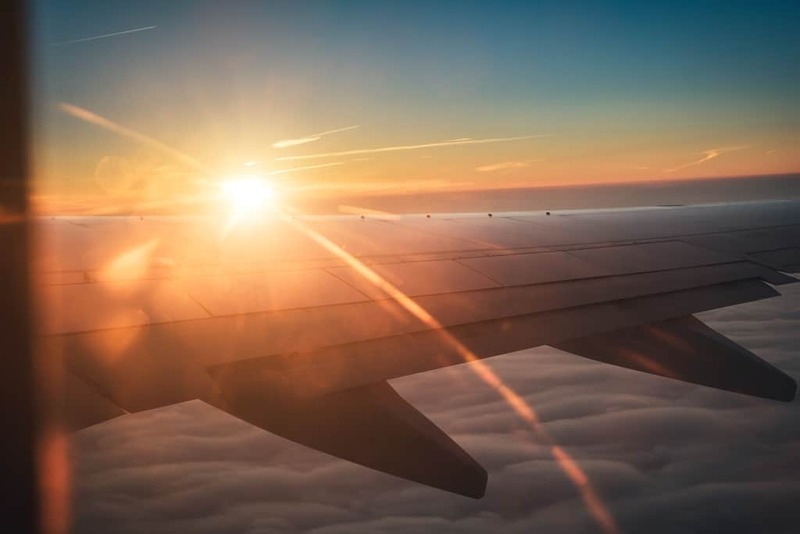 Air Transport connectivity is based on the concept of moving passengers, mail and cargo with the least amount of transit points in order to make the trip as short as possible, at the lowest price possible, while continuously ensuring users are satisfied. ICAO contributes to improving connectivity in various areas through market access, consumer protection, etc. by fostering various initiatives within this framework. This includes, for example, the facilitation of international agreements to liberalize the current restrictions through policy and guidance material. Not only have overly complex bilateral agreement frameworks added significantly to the cost of doing business, but they have limited choice and competition and have created impediments to the continued growth of air traffic. Since the early 1990s, in response to demands by the aviation industry to reduce regulatory barriers, States began negotiating more liberal bilateral and multilateral agreements, including “open skies” agreements, which allowed the industry to do business in more favourable operating environments so they could expand in new markets. In 2015 ICAO adopted a long-term vision for international air transport liberalization, which provided ICAO Member States with the resolve to actively pursue continued liberalization of international air transport, for the benefit of all stakeholders and the economy at large. The efforts are guided by the need to ensure the highest levels of safety and security and the principle of fair and equal opportunity for all States and their stakeholders. One notable trend involves the conclusion of bilateral “open-skies” air services agreements, which provide for full market access without restrictions on Third, Fourth and Fifth Freedom traffic rights, designation, capacity, frequencies, codesharing and tariffs. The first such agreement was concluded in 1992 between the Netherlands and the United States. Since then, an increasing number of Open-skies Agreements (OSAs) have been signed. As of September 2016, over 300 OSAs involving more than 150 States have been concluded, with the United States leading with a total of 119 signed OSAs. An increasing number of countries have also signed OSAs with the European Union or its members. Liberalization has been one of the main drivers of the continuous growth of air traffic. Measures enabling expanded market and capital access for air transport have resulted in enhanced connectivity with the corresponding benefits of sustainable economic development at State and regional level, and the emergence of strong carriers and airports that are more passenger-friendly. Opening up the air transport market has led to an increased and more efficient utilization of airspace, more competitive fares and more choices for the travelling public. Liberalizing measures and subsequently, enhanced connectivity, have an overall positive impact on tourism, employment and the economy at large. Improved connectivity in air cargo enhances the level of productivity, opens up new markets, boosts exports and increases competition and choice in the home market from foreign-based producers. The many States that seek regulatory convergence on liberalization and competition issues at the bilateral and regional levels, shows the importance of liberalization. Infrastructure deficiencies have long been an issue in the Latin American Region. Major airports in Argentina, Colombia, Ecuador, Mexico and Peru face growth constraints. Among the world’s 134 economies analysed by the World Economic Forum, for example, Panama ranks 6th, Ecuador 39th, Chile 47th and Mexico 61st in quality of air transport infrastructure, but Argentina (86th), Brazil (94th), Colombia (76th), El Salvador (74th), Peru (80th) and Venezuela (127th) are below average. While plans are in place to address these issues, relief is years away at best, so there will be lost opportunities for creating jobs and spurring economic growth. The projected expansion of the aviation sector in the region will also bring the need for effective regulatory oversight that keeps pace with this growth, as well as the recruitment and training of the necessary skilled manpower. The most likely scenario is that airlines in Latin America and the Caribbean region will need to train an average of 6,250 pilots a year until 2030 while the industry is only able to train 1,945 pilots a year. Following the consolidation of small airlines in the sub-region of Central America in the early 90s, other separate, but virtually identical open-skies agreements with the United States were concluded in 1997. In 1995, the United States-Canada Aviation Agreement had already entered into force, based mostly on the open-skies model. In South America and the Caribbean, regional air transport liberalization initiatives have resulted in the adoption of agreements by the Andean Community (CAN), the Caribbean Community (CARICOM) and the Southern Common Market (MECROSUR), between 1991 and 1999; and the Air Transport Agreement of the Association of Caribbean States (ACS), in 2008. All of these initiatives aim to harmonize air transport policies and to liberalize the granting of traffic rights and market access. Though many countries in the Latin American region follow liberalized policies, one of the most liberalized ones is Brazil. The United States-Brazil Open Skies agreement, which entered into force on May 21, 2018, will pave the way for the completion of the joint-venture between American Airlines (AA, Dallas/Fort Worth) and LATAM Airlines (LA, Santiago de Chile Int’l), the American carrier has said. The joint-venture, first put forward in 2016, will cover all flights operated by either of the carriers involved between the US and Canada on one side and Brazil, Chile, Colombia, Paraguay, Peru, and Uruguay on the other. The partnership has already been approved by the regulators in Brazil, Colombia, and Uruguay, while the go-ahead in Chile is still pending. The two carriers already have a dominant position on the key US-Brazil market, with over 40 per cent market share by capacity between them. LATAM’s rival Azul Linhas Aéreas Brasileiras has openly expressed its intention to enter into a joint-venture with United Airlines, although the American carrier has been more cautious about such a move, having a Star Alliance partner in Brazil in Avianca Brasil. United is a minor shareholder in Azul with a 5% stake. For its part, Delta Air Lines, which owns a 9.5% stake in Gol Linhas Aéreas Inteligentes, has ruled out tightening this cooperation. ICAO’s Fourth ICAO World Aviation Forum (IWAF 2018) will be held from 17 – 19 September 2018, in Fortaleza, Brazil. The Forum is aimed at high-level government officials responsible for aviation, transport and infrastructure, finance, economy, and tourism, and key industry and financial partners. With the theme of Promoting Investment for Aviation Development, the event is intended to create an enabling environment to discuss approaches to maximize aviation benefits and explore ways of mobilizing long-term financial resources for aviation development, especially for the development and modernization of quality aviation infrastructure. The Forum also aims at mainstreaming the priorities of the aviation sector in global, regional and national agendas in support of the ICAO No Country Left Behind (NCLB) initiative and ultimately to contribute to the attainment of the United Nations Sustainable Development Goals (SDGs) and the Agenda 2030.